Simmons Technology has partnered with the Career Education Center to select a new career software platform for the College. We are excited to announce that Handshake, the new online career platform for the Simmons community, went live for all students on January 29. Handshake replaces CareerLink, which had been in place since 2003. Handshake’s features include an expanded job board with listings from thousands of top local and national employers, personalized job recommendations based on a student’s major, interests, and lifestyle preferences, the ability to follow favorite employers and jobs and have notifications sent to you, mobile optimization with an app for Apple iOS (Android app coming soon), and much more. Students can log in to Handshake at simmons.joinhandshake.com to customize their profile and start connecting with employers. Faculty and staff interested in having a Handshake account should contact the CEC at careers@simmons.edu or 617-521-2488. 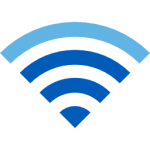 Over the summer and throughout the fall semester, Simmons Technology worked to replace the aging WiFi network infrastructure on both the academic and residence campuses. We are pleased to announce that our work is now complete and that Simmons College has an entirely new and improved WiFi network. This significant upgrade provides double the previous bandwidth and improves coverage in all areas on campus, giving you a strong connection no matter where you are. For the best connection to the upgraded wireless network, we recommend connecting your computers and mobile devices to the Simmons Secure network. For devices such as gaming consoles, you’ll need to choose the Simmons network in order to get online. 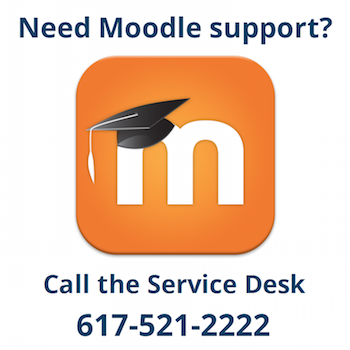 If you need help connecting your devices to the new network or experience any issues with WiFi on either campus, please contact the Service Desk (617-521-2222) for assistance. Over winter break, Simmons Technology has continued the technical work necessary to implement an important College-wide policy that allows students to use a first name other than their legal first name at Simmons. As a result, all Simmons students can now update their first name and have it reflected in Moodle in addition to their email alias, Campus Card, and the AARC class roster. We are working to make this option available in additional College systems and to streamline the process. For more information about how to update your first name and to learn about how this differs from a legal name change, visit the Registrar’s page on Name and Address Changes. If you have any questions, please contact the Service Desk at 617-521-2222 or servicedesk@simmons.edu.